Taking a look at the new 3.06GHz Pentium 4 you can see that the chip is no different than its 2.80GHz predecessor. Even if you were to look at the processor's die itself you'd see no differences, despite the fact that the 3.06GHz Pentium 4 supports Hyper-Threading (we'll talk about that in a bit). 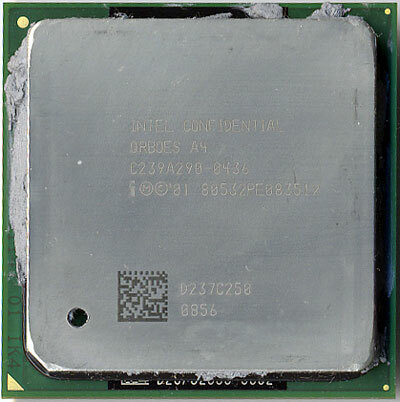 The processor feeds off of a 133MHz FSB clock, which is sampled four times per clock to provide an effective transfer rate equal to that of a 533MHz FSB. 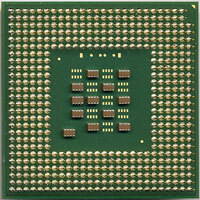 The architecture of the Pentium 4 has not changed at all for the 3.06GHz processor; the CPU is still based off of the same 0.13-micron Northwood core that made its debut at the beginning of this year.